Why did college football fans hate the BCS? Look no further than the film 2001: A Space Odyssey, with a stop at the Terminator series. Then glance at Google, Facebook and Amazon. It might be hard for Millennials to realize, but there was a time when society was pretty scared of computers. And that fear has morphed into a different kind of suspicion today. But I’m getting ahead of myself. Actually, even before 1968 and the release of 2001, we could go all the way back to the 19th century. Advances in science began to unravel the mysteries of the universe, undermining religious faith. A book like Darwin’s Origin of the Species sought to take God even further out of the equation. Anxiety transitioned from the anti-evolution fundamentalists to the greater society coming out of World War II, as science demonstrated its ability to incinerate entire cities. The emergence of huge, powerful supercomputers fed off this anxiety as well. 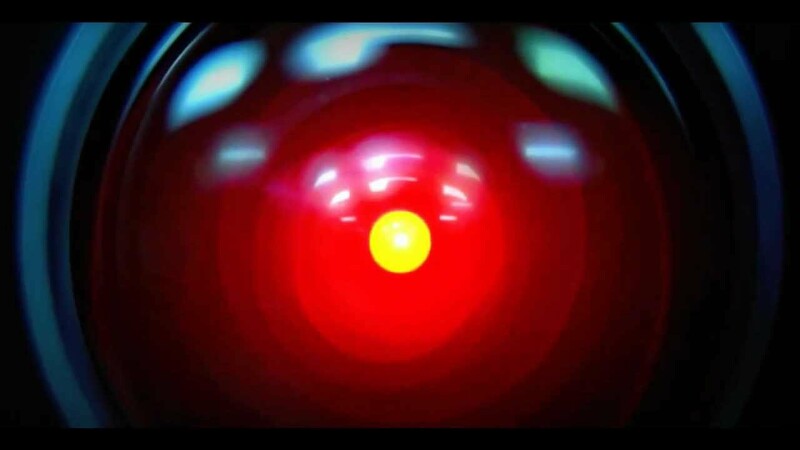 Now we’re ready to revisit Kubrick’s 2001, the film version of Arthur Clarke’s sci-fi short story, “The Sentinel.” Its climactic tale (spoiler alert) of a computer that learns to kill on its own initiative resonated with a society that was suspicious of the room-filling, soulless supercomputers that were gaining power. The theme remained popular, even into the 1980s. The Terminator played off that fear with its dystopic tale of technology having taken over a future society. A particularly nasty robot, portrayed by Arnold Schwarzenegger, travels back in time to kill the woman who would bear the future human rebellion’s leader. About the time that movie came out, however, Apple had begun to roll out its original Macintosh personal computers, with IBM close behind. Suddenly a computer was not some military-industrial complex storm trooper; it was a cute contraption on a desk or table — producing documents, playing games. Their developers were portrayed less as mad scientists and more as harmless nerds. Eventually even the Terminator found a heart. By the second film in 1991, Arnold was as helpful as a desktop, and actually came back from the future to protect the future rebel leader his robot model had tried to kill just a few years before. But then, those computers were networked together, and again, a fear of their power began to emerge. As technology progressed, a certain ambivalence set in. We feared that the “ghost in the machine” had the power to travel from terminal to terminal. But we also loved the features of cyber-life. You had The Net, where Sandra Bullock faces perhaps the first identity theft ever, but you also had You’ve Got Mail, where AOL helped Tom Hanks and Meg Ryan find love in a way they never could face-to-face — or at least since their last romcom. And along came Google. And its algorithms. The formula for life decisions changed. As Google successfully couched its searches in complex formulas related to Web surfing, and other companies applied the process to other areas, that Hal-based uneasiness began to creep in again. What (or more precisely, who) were these computers that were taking so much control of my life. When Amazon suggested I check out this book, or Facebook suggested that friend for me, how did they know? We could reassure ourselves that for every nine rational matches suggested, that tenth would show a cluelessness that only the human touch could rectify. It was all fine as far as our day-to-day lives and relationships were concerned. But when it infected college football, well, that did it. The BCS did something more disruptive than drag that face from our junior high past into our Facebook consciousness. Its network of computer rankings and human polls played with the dreams and hopes of college football fan bases. And with only two happy fan bases per season, it was doomed. A variety of disasters — the 2003 split title, the 2004 Auburn snub, the seemingly annual exclusion of hopeful undefeated teams — enhanced the anger. The minor tweaks satisfied nobody. To bring the human element back in (along with bazillions of simoleons in new revenue), the BCS and its computers were declared obsolete. In 2014, the College Football Playoff replaced it, with a selection committee that would meet weekly starting midseason and would issue rankings — but mainly, would be human. Did they ever act human, in its messiest sense. Sure, there were conflicts of interest, with former coaches and athletic directors rating their own teams, but that’s what happens with people. Per chairman Jeff Long’s descriptions, the system seemed to change from week to week, but hey, they’re not some computer you can program. They’re people. Like us. In the end, it all seemed to work — and not just because the three games generated huge ratings and massive narratives. So maybe the four teams that made the playoff also would have been the top four teams using BCS’s formula. Still, this time, humans had made the decision. So that made all the difference. And let algorithms make the rest of our decisions for us.